One of the famous restaurants from Hong Kong has finally arrived in Malaysia. If you happened to be wandering around Mid Valley, it is a norm to spot a bunch of people lining up in front of a restaurant. Yes, that is the TIM HO WAN 添好運 (a Michelin-starred restaurant) located at Mid Valley's Boulevard. My mom went to the TIM HO WAN in Hong Kong a while ago, so she was really excited to try out their branch in Malaysia. She insisted on going there early in the morning to the extent that I had to set the alarm to wake myself up to go all the way from Subang to Mid Valley >< We arrived there at 10am and luckily we didn't have to wait for long (not even 5 minutes) and we got our seats. The menu which only consists of 1 page. Tim Ho Wan doesn't really have a lot of choices but most of their things are different from the usual Malaysian Dim Sum. Close up photos of the menu. This is a MUST TRY! I loved every bit of it. The outer skin is so soft and when you take a bite, the crumbs from the top part of the bun with crumble down! The outer layer is a bit sweet but the salty taste of the BBQ pork contrasted it perfectly! Compare to the usual Siew MaiS that you can get in normal coffee shops, these ones were really different (of course you pay a different price too :/) - they came with big shrimps and even wolf berries on top! I love wolf berries to bits and pieces! Same as the Pork Dumpling with Shrimp these were made of generous amount of shrimp which made it worth the price (even though it's slightly expensive). I regretted so much for ordering this. It tasted so gross. It was as if the beef wasn't really cooked and it didn't really have much taste as well. I ended up only having a few scoops and finished the whole fried egg and left the whole bowl on the table to rot on its own! Even the beef rice I personally cooked myself is 10 times better than this thing. No pun intended. If you are a fan of Mango, then this is something that you really HAVE TO order! Came with lots of sago which made me happy throughout the day! It's really hard to get sago as well as mangoes from Australia (or probably with a high price) so to me, they are really precious! This is very spongy but I personally don't find it really special. It tasted like something that was sold in my primary school canteen for 40 cents. I swear I could have just entered Tim Ho Wan and ONLY ORDER THIS and eat them for the rest of my life! I don't know how to explain this. It was sweet, cooling, fresh and most important of all AMAZING! 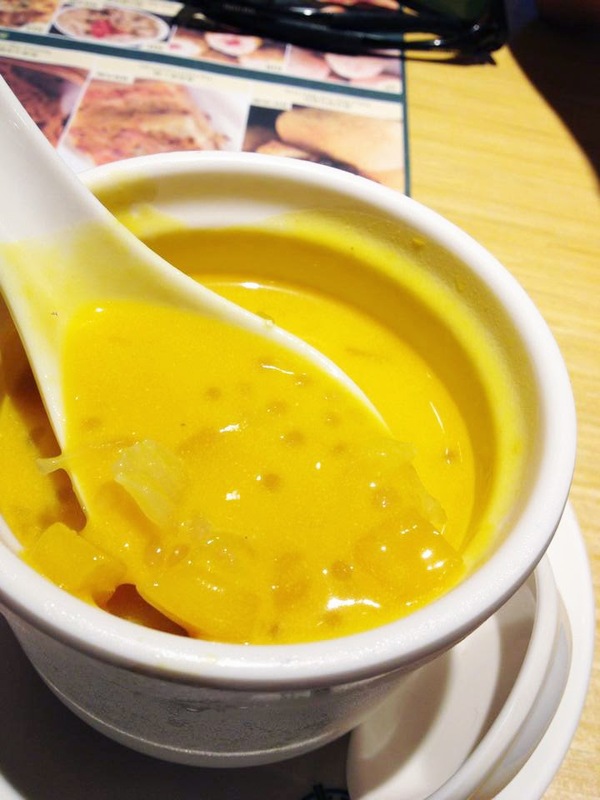 You CANNOT say that you have been to Tim Ho Wan if you didn't order this! By the time we finished our meal, people were starting to line up outside the restaurant. So if you are like me who can't really stand lining up, then make sure to go there early. 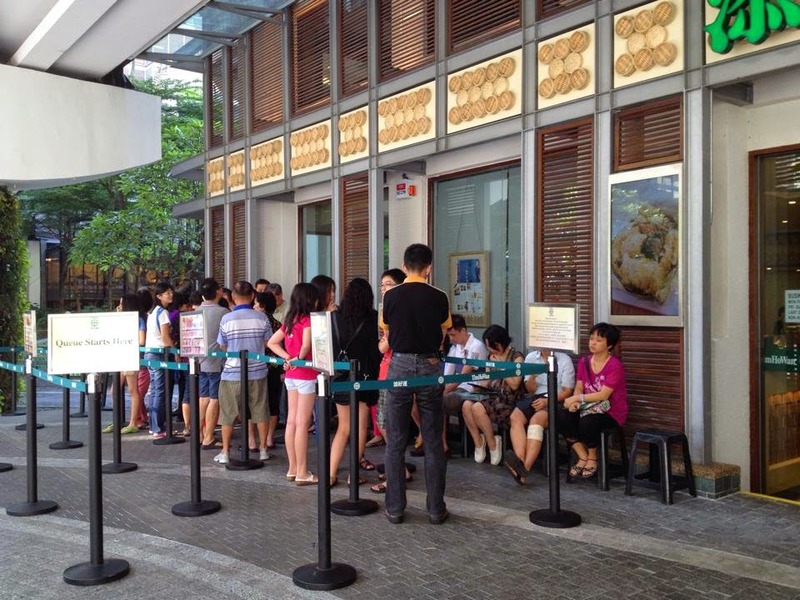 PS: As far as I know, Tim Ho Wan doesn't seem to be willing to take any reservations in prior. yeayyyy finally blog post!!!!!!!!!!!!!!!!!!!!!! The photos all so nice!!!!! Camera does have its perks ar!!!! T___T I oso want camera!!!! You're in Malaysia?! & in Subang too?! Omgosh, the world is SO small.